← Another wicked Video from the Dolomites. 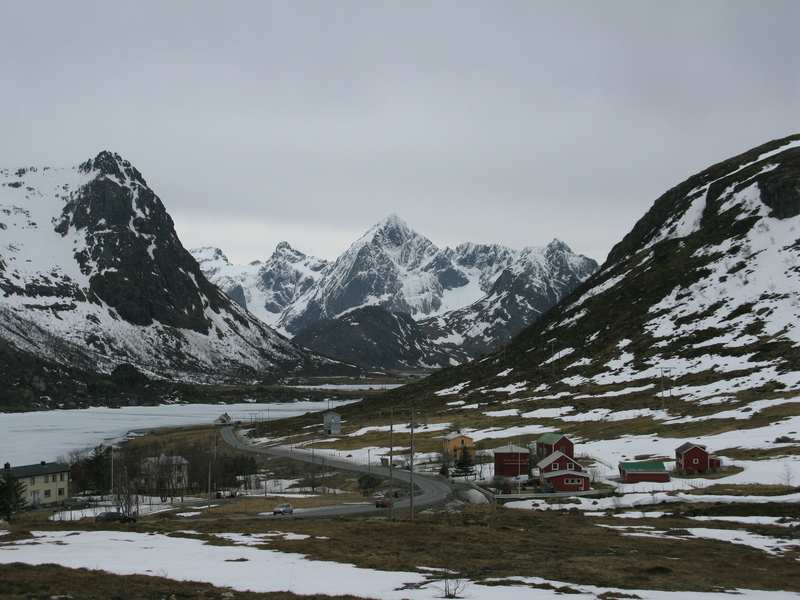 I thought I would get this post out on the day, if only because you are the only other person in Lofoten wondering what the conditions are going to be like when you go up Stornappstinden tomorrow….. And you happen to be checking for conditions tonight. This was my first outing on the snowboard in Lofoten and what a day it was too! The weather wasn’t particularly nice. It was blowing a gale. It had rained a few days previously, so the snow wasn’t particularly great. But Angelita’s parents’ house is at the foot of this moutain, you’re surrounded by the sea (at least once you get to the summit) and you’ve got the whole mountain (and all the other mountains within view) to yourself. I know so little about these mountains; that combined with its far-flung northerly location (above the Arctic Circle) and the feeling that lots of these faces have been deprived the tickling sensation of skis and you just want to get after it…..like a kid in a sweetshop! None of the peaks are particularly high (around 700m to 1000m for the most part). But that just means you can ski two in a day! And it doesn’t get dark until around 22.00, so you can ski one in the morning, cruise Leknes in the car with the tunes banging like a proper townie and then go and ski another line later when you get bored. 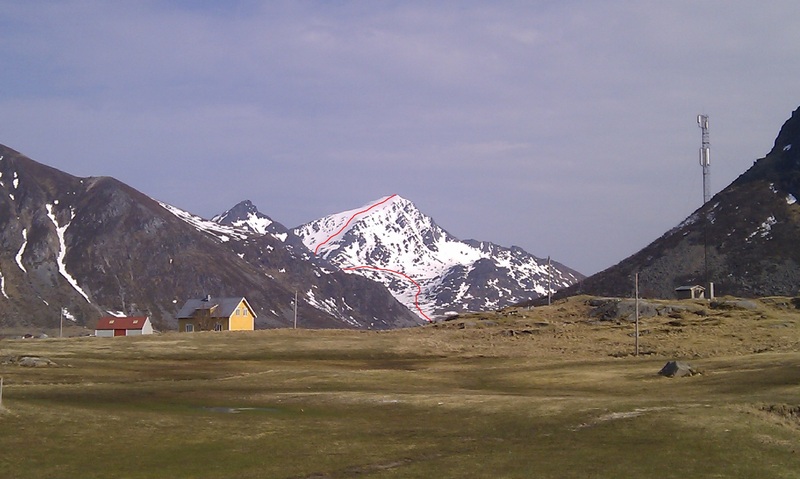 Leknes definitely does not have the feeling of being a ski town, so you’re never going to be fighting for lines in this part of Lofoten. There’s nothing particularly special about this route…apart from the fact that you are skiing in Lofoten!! A nice short ski tour and a nice pitch on the way down (parts of it in the mid to high 30 degrees). According to my watch, the trip up was 750m and we were up and down again in around 2hrs. Just in time before it started to lash it down. If you drive west from Napp for a couple of km, you come to Nappskaret car park which is where the tour starts. Once you’ve located the summit from the car park, it’s really straight forward route finding to the summit. You can either ski the South face or the West face which is what we did. We managed to get the skis on from the car and skin most of the way. The snow was pretty hard and frozen when we got onto the West face proper and without ski crampons, we boot packed the last few hundred metres to….almost the summit. We turned round about 20m from the summit as it was turning into boiler plate ice from the ridiculously strong winds and I started to slip backwards and couldn’t kick in any steps. Good ski down and all the way back to the car. Nice first tour to get a feel for conditions. 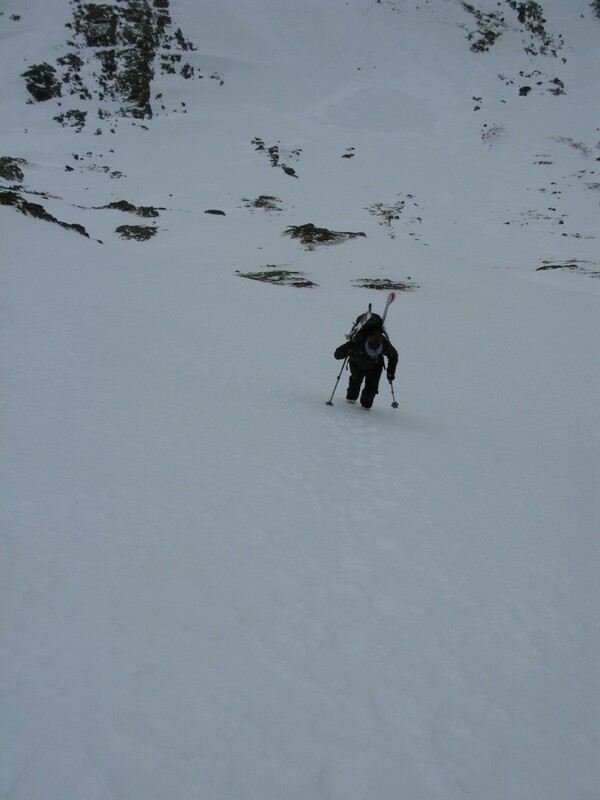 This entry was posted in Lofoten, Norway and tagged Lofoten skiing, Napp, Splitboarding, Stornappstind. Bookmark the permalink.